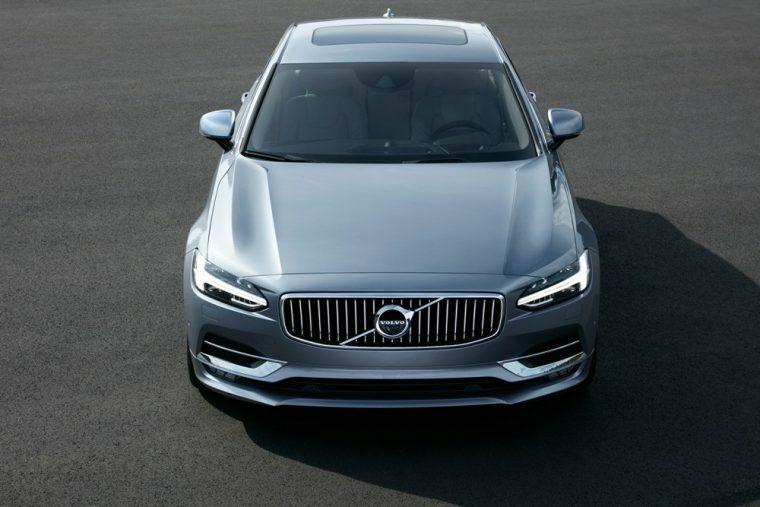 After releasing teaser images only a couple of weeks ago for its new flagship S90 sedan, Volvo decided it couldn’t keep this vehicle a secret any longer and released specs and photos of the new car to the public. The new S90 will come with a T8 twin engine plug-in hybrid powertrain, which comes complete with a 318-hp four-cylinder turbocharged and supercharged petrol engine, an 80-hp electric motor, and a 46-hp crankshaft-mounted starter generator. The three power sources combine to offer 394-hp; an eight-speed automatic will be matched with the hybrid engine system. The S90 will also feature an advanced semi-autonomous drive feature called Pilot Assist, which helps to keep the car within lane markings on the road when traveling at speeds of up to 80 mph. The S90 will also mark the debut of the Volvo’s all-new City Safety system. If this technology detects a large animal like a moose, it will offer intuitive warning and brake support, in order to help prevent a collision. The new Volvo S60 sedan will be officially introduced to the public at the Detroit Auto Show in January.